Pages for this area of our website will be added as they are developed. 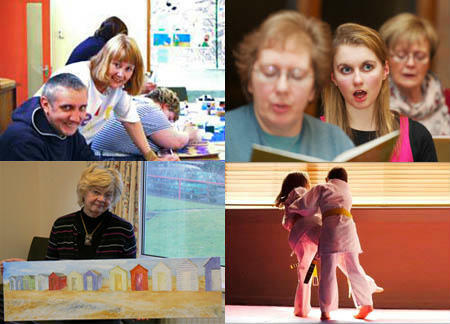 We are pleased to share our premises throughout the week with a wide variety of community groups. The church and its organisations have first call but we are glad to hear the sounds of the many groups who regularly use our hall and other rooms. On the left you will a list of most of our regular users. Click on a name to learn more about who they are and what they do. If you would like to know more about any of these groups, first go their page on our website by clicking on their name on the left and then click on a link on the new page that appears, to go to the organisation's website. If the organisation does not have a website, use the enquiry form on our Contact page. If you are interested in hiring a the hall or one or more of our rooms please contact Aileen via the enquiry form on our Contact page.